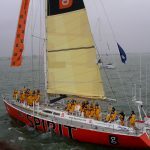 A participant on my next EFT Practitioner training is taking part in the Clipper Round the World Yacht Race, so I mentioned that I had previously helped a couple of sailors to resolve seasickness using EFT. 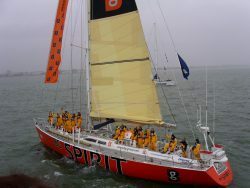 Trixie and Tony were taking part in the Global Challenge back in 2004/5 aboard BG Spirit (above). Like the Clipper Race, it entailed sailing round the world, though in the other direction. They both had serious seasickness issues. In Trixie's case she learnt EFT from me on a course and then did some practise. Her account below illustrates the success she achieved. In Tony's case, I worked with him at a stop off in Capetown with two legs still to go. Having heard about EFT from Trixie he was keen to see if I could help him. I'm happy to say that the benefits with Tony were dramatic as well. By the way, they won the race! "After attending Peter’s EFT course, I went away and practised. I then did a few weekend sails, including a couple of choppy cross-Channel races, and wasn’t sick at all – I didn’t even feel queasy, even when other crew members were laid flat. Better than that, however, was the fact that I now felt confident about doing jobs below decks which I’d have avoided before. I deliberately tested myself on jobs like cooking, particularly on the first day out when I’d previously have been reluctant to leave the deck, and cleaning the bilges (which involves bending upside down with a sponge while the boat crashes from wave to wave). I was also able to take more of an interest in navigation. The latter was a big test because you’re staring at a small computer screen whilst all around you is constantly moving without reference to a horizon. So EFT enabled me to consider all sorts of aspects of sailing which were previously no-go areas, making me a more useful crew member when I set off round the world on the Global Challenge. Having seen how even the roughest, toughest crewmates were laid dangerously low with seasickness, I would recommend EFT to everyone on board!" 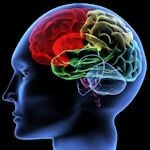 The next scheduled EFT Practitioner Training is 7th & 8th September 2019. Additional group trainings are provided by request.